The Umbrella that brings together all the operators that package the Uganda Safari and tour products to domestic and international consumption is in the fresh rhythm after securing the new leadership. 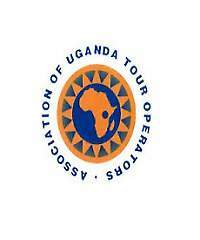 The Association of Uganda Tour Operators (AUTO) features fully constituted board of eight (8) members that are elected in the every annual general meeting. The Board’s position of the Chairperson was maintained by Babra A. Vanhellepute having served in the same capacity for the past two (2) years. In her capacity as the new chairperson, she is aiming at strengthening the systems and structures established in her initial term office and lobbying for improved working environment of the tour operators to ensure that synergies are created to induce more travelers to take up safaris and tours in Uganda. The AUTO General meeting also saw a range of other posts filled accordingly with the competent people that were nominated and voted for by the members themselves including the Directors of Prime Uganda Safaris and tours Ltd Mr & Mrs. Samuel & Cate Makanga who were in attendance. Among other members elected include; Jacqueline Kemirembe as Vice Chairperson, Dennis Ntege as Board Secretary, Costantino Tessarin as Treasurer, while Dona Tindyebwa, Gary Segal and Lydia Nandudu and Civy Tumusiime were selected as Committee Members. The general meeting was attended by over 200 people of whom more than 100 were owners of Uganda tour companies that form the central membership of the Association. The body is charged with ensuring professional standards of service delivery among the tour operators to facilitate confidence building among the world travelers about destination Uganda. The body also makes recommendations to the government especially in granting of tour operator licenses. The inter member disputes can also be solved by the body. An independent electoral committee spearheaded the voting exercise and Dr. Akankwasa from the Ministry of Tourism headed it. The election of the new leaders put an end on the two year regime that had prevailed from July 10th 2014 when it was elected into office.